Each holds a total of 32 oz. 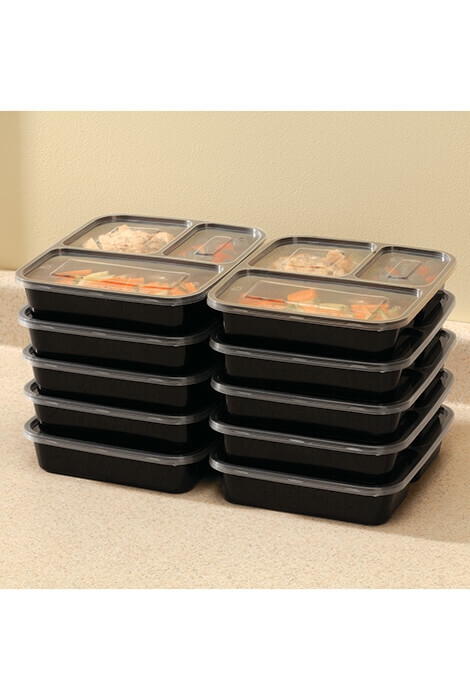 Prepare meals in these 3-compartment food containers and stack them in fridge or freezer—then microwave to reheat, wash 'em in the dishwasher and use the set again and again! Great for carry-out lunches, leftovers or healthy meal planning, the BPA-free 20-piece microwavable storage set feature 3 separate compartments to keep foods fresh, making portion control easy for you and your family. 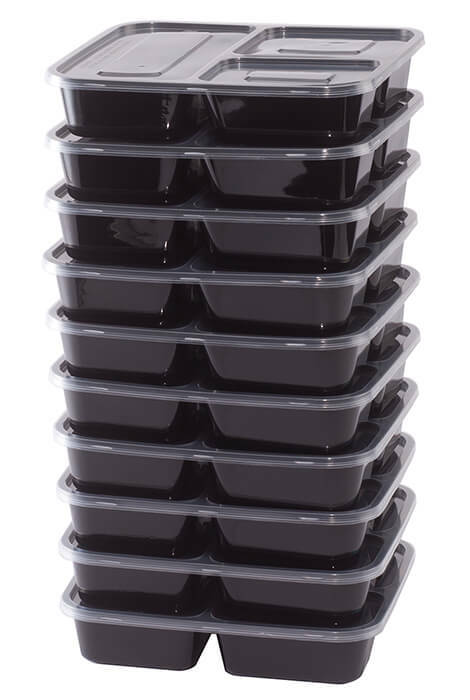 Designed in durable, reusable high-grade plastic, the plastic containers are safe for the freezer, microwave and dishwasher (top rack), and easily stackable. 20-pc. 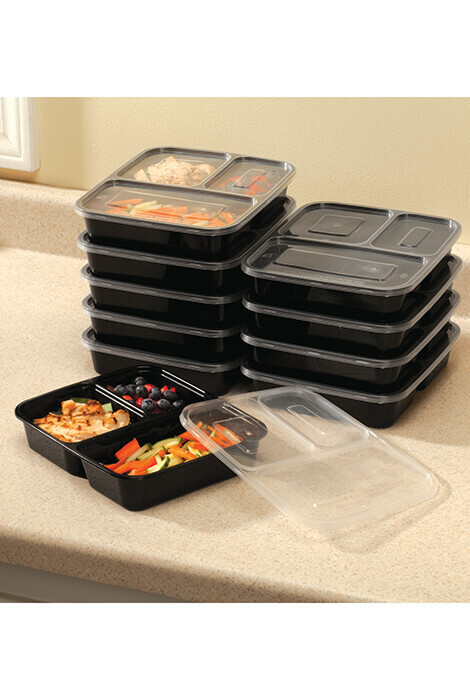 set includes 10 containers with 10 lids. Each container includes 3 compartments (8 oz., 8 oz. & 16 oz. ), holding a total of 32 oz. These are the best food containers for your lunches or made ahead dinners. What makes this item so good is they are reusable and they really work. Hard to cook for one, so I cook a full recipe and save portions for future meals. Thise containers allow me to stack them for freezing. Perfect size to store left over meals, microwaveable and dishwasher safe and stackable to take up less room in the freezer. I ordered this set for myself and one for my sister. These are great! Must be careful because these containers are very flimsy and lids will break easy too. Good enough to take in lunch box or quick meal at home. I use these with my dinner leftovers, I make my own tv dinners, these are the perfect size to use with my sealameal for added freezer protection. 2. Cannot microwave frozen diners. 3.Lids hard to remove when on. Too small, must pay attention to the dimensions. These are very thin and flimsy. When I opened the box and took the first top off, it ripped at the edge. It tore in another spot on the top. I guess you get what you pay for. Useful but not worth what I paid. The trays are useful, and they do look like the catalog picture/description. However when they arrived, the first cover was cracked, the next two don't close on the container. I had to use freezer tape to secure the lid to the tray. The other 7 were o.k. I needed something to keep my food that I prepare for the week and this is it.